Duo Chris Lucas and Preston Brust of LOCASH, are some of Nashville’s quickest rising stars. We like to hear and tell stories about “the underdog” that made it big, because these narratives prove that hard work pays off, and it inspires us to continue chasing our dreams. After several years of pursuing their music career in Nashville, LOCASH are no longer the underdogs on the Country music scene. Despite the rejections, they released several successful singles, some of which hit the charts. In a phone interview with The Country Note, Brust said that if you’ve already made the move to Nashville, the next step is to “write songs like crazy.” “Through the ups and the downs, and the in between, your songs will continue to pave that road for you” said Brust, and that it did. How did LOCASH get their name? “LOCASH came from Preston, and he had a so-called ‘gang’ of buddies, kids that hung out”, said Lucas, in an interview with Baltimore magazine. 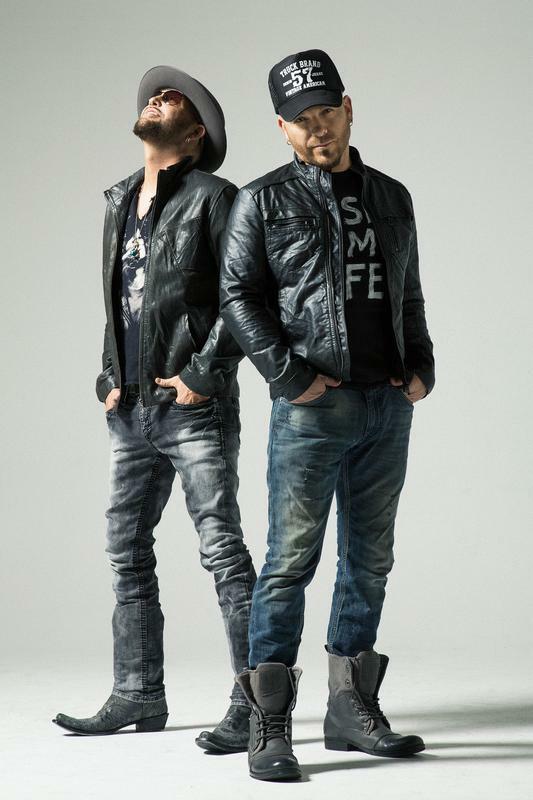 After their 2015 single “I Love This Life” was released, just like that, LOCASH went from being Nashville hopefuls to Country stars. After signing with Reviver Records for their 2016 album, The Fighters was an instant hit, causing “I Love This Life” to reach a groundbreaking number 2 on the Billboard airplay chart, and number 5 on the Billboard Hot Country songs chart. If you listen to country radio, then you've already heard “Love This Life”, reaching nearly 6,000,000 views on YouTube. COUNTRY FANS- Don’t miss this once in a lifetime chance to see one of the biggest names in Nashville, for FREE! Opening for LOCASH is the Albany Times Union Readers Poll's Best Local Band of 2016, Skeeter Creek. So grab your cowboy hat and your dancing shoes for Alive at Five this Thursday!